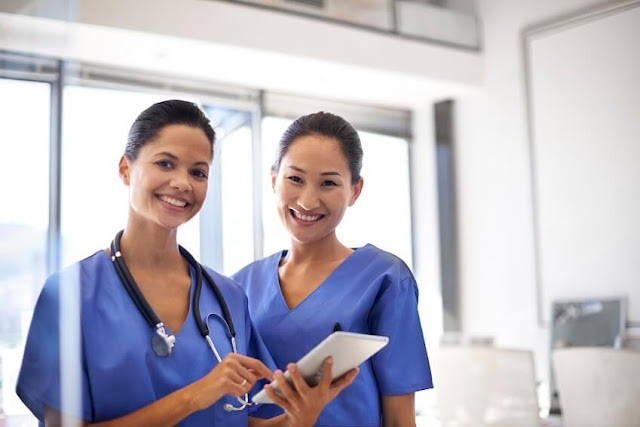 Basic Principles of Nursing Administration - In the world of nursing course, the implementation of nursing administration is one of the main things that affect all of the nursing processes. And nursing actions and all things related to nursing cannot be separated from this nursing administration. This time of Nursing blog will try to share a little about the administration of nursing and hopefully useful and can provide benefits. The process by the nursing administration of open systems approach in which each of the components are interrelated and interact and be influenced by the environment. Because it is a system that will consist of five elements of input, process, output, control and feedback mechanisms. Input from the nursing administration among other information, personnel, equipment, and facilities. The process in nursing administration is the manager of the highest level of nursing administration to implementing nurse have a duty and authority for planning, organizing, directing and monitoring the implementation of the nursing service. The output is nursing care, staff development, and research. Controls used in the budget process, including nursing administration of the nursing, nursing job performance evaluations, standards and accreditation procedures. The feedback mechanism in the form of financial statements, an audit of nursing, quality control and performance survey of nurses. 1. The nursing administration should be based on planning because through the planning, leaders can reduce the risk of decision-making, effective problem solving and planning. 2. Nursing administration implemented through the effective use of time. Nursing managers who appreciate the time will develop a well-rounded program planning and implement activities by a pre-determined time. 3. The nursing administration will involve decision making. Various situations and problems that occur in the administration of nursing activities require decision-making at various managerial levels. 4. Meet the nursing care needs of patients is the focus of attention of the nurse manager to consider what the patient saw, thought, believe and desire. Patient satisfaction is the main point of the whole purpose of nursing. 5. The nursing administration should be organized. Organizing conducted by the needs of the organization to achieve goals. 6. The briefing is an element of nursing administration activities covering the delegation, supervision, coordination and control of the implementation of the plans that have been organized. 7. Good nursing division motivates employees to demonstrate a good working performance. 8. Nursing administration using effective communication. Effective communication will reduce misunderstandings and provide shared vision, direction, and understanding among employees. 9. Staff development is important to be implemented as a preparatory effort implementing nurses occupy a higher position or manager attempts to improve employee knowledge.